Here is a true sparkler, reminiscent of the Titanic necklace. This 16" clear rhinestone necklace has a lobster claw clasp and a 2 1/2" extension. 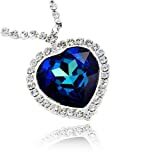 It holds a gorgeous clear rhinestone trimmed 1 1/2" multi faceted sapphire Swarovski crystal heart pendant. This piece is sure to turn some heads! 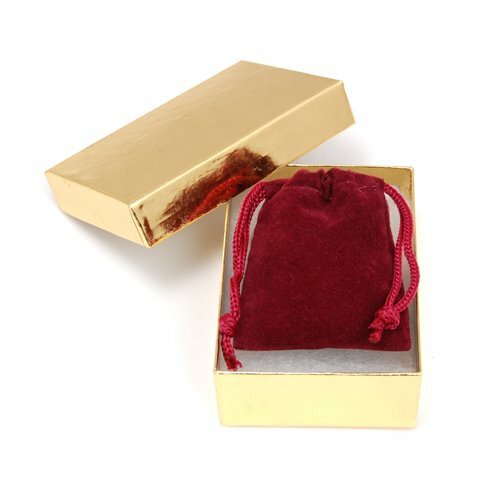 Your necklace will come to you in a foil gift box perfect for gift giving. Box may be a different color than the one shown.